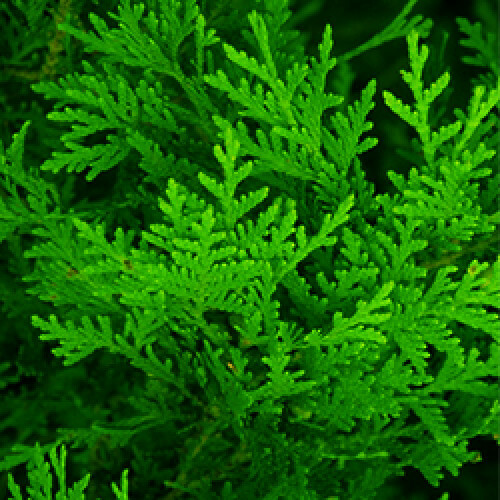 Aromatic Scent: Cedar Leaf Essential Oil is intensely sharp and fresh with a woody camphor scent. Common Uses: The chemical constituents of Cedar Leaf Oil are said to make it anti-rheumatic, astringent, tonic, diuretic, vermifuge, expectorant, repellent to insects, and a stimulant to the nerves, uterus and heart muscles. Thought to be useful in steam baths for rheumatism, arthritis, congestion and gout, it has traditionally been used as a wash for swollen feet and burns. It was commended as a medicinal in treating scurvy as late as the 1900's. Cedar Leaf Oil is used today in pharmaceutical products for its therapeutic properties, as well as in perfumes, toiletries, cosmetics, soaps and detergents for its aromatic properties.